One child has died from the flu in Florida. The Florida Department of Health’s Bureau of Epidemiology reported on Monday the unidentified child tested positive for Influenzavirus B and died between Sept. 30 and Oct. 6. The department did not say where the child was from, but the child was not vaccinated. Express Docs Urgent Care in Delray Beach is prepared for the upcoming flu season. Medical Assistant Harela Zafir said they stocked up on the flu vaccine because they expect more people to get vaccinated early. Zafir said they have already had people come in and test positive for the flu. “It definitely started early this year,” she said. 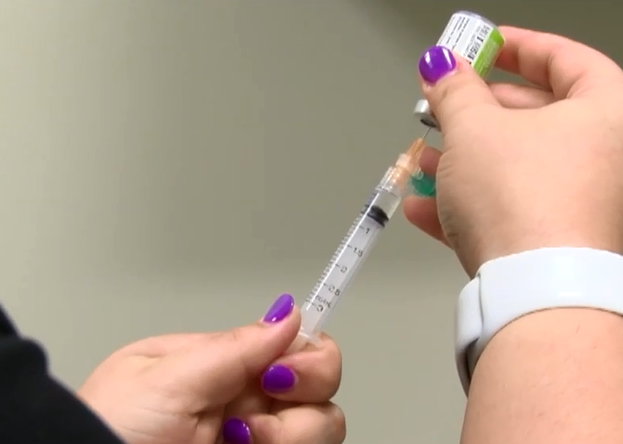 The Center for Disease Control reports that as of Oct. 6 the flu is still sporadic in the U.S.
Zafir said now is the time to get the flu shot. “A lot of patients think it is still too soon to get vaccinated,” she said people should get their shot now, so it is in their system. The Palm Beach County School District is offering flu shots through a sign-up program . Parents can sign up through the end of the week.